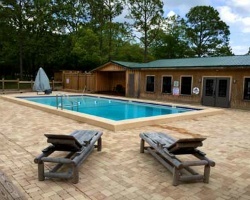 *Twin Lakes Camp Resort* is situated on a peninsula of 10 treed acres of beauty in DeFuniak Springs, Florida. The property features 45 Full Hook-Up RV Sites and 2 Glamping Tents ready for your enjoyment. Twin Lakes' 5 Luxury Vacation Suites have been renovated and are ready for occupancy. Come enjoy the tranquil setting and the views offered by Holley Lake and King Lake on either side of the property. If a quiet getaway is what you need then the best place for you is right here at Twin Lakes, a Camp Resort worthy of any getaway. 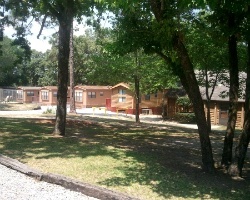 To discover more, please visit www.twinlakescampresort.com. All Offers Will Be Considered! This camp resort has it all! Newly renovated amenities, Vacation Suites, Camp store, boat launch dock and much more!